Genevra Vance, 90, passed away peacefully on Saturday morning, July 1, 2017, in Mesa, Arizona. She was born April 20, 1927 to Thomas Edmund Miller (Ted) and Nellie Lee Rankard Miller in Mesa, Arizona. Genevra grew up in Tucson, AZ. When she was 10 years old her mother sent her along with her brother Harold and sister Eva to Primary at the Church of Jesus Christ of Latter-day Saints. They loved the teachings they heard and soon the missionaries were teaching the family and they joined the Church. After graduating from High School as the salutatorian of her class, the Miller family moved back to Mesa in order to be closer to the temple. There she met Dale Vance and in August 1947 they were married in the Mesa Arizona Temple. Together they raised 6 children, 1 son and 5 daughters. They have 36 grandchildren and 114 plus great-grandchildren. Genevra has served in the Church all her adult life. 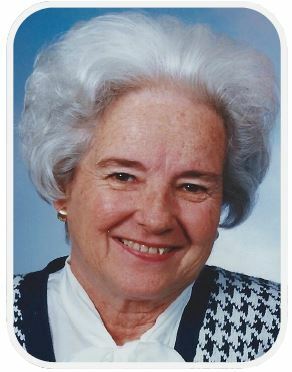 She served in the ward and stake Young Women program and as a ward Relief Society President. In addition, she actively helped her husband as he served as Bishop for 11 years and as a Stake Patriarch for over 15 years. Together they served two full time proselyting missions in Harrisburg, PA and Chicago, IL. They also traveled to many places around the world (Japan, Europe, Israel, and Russia). Genevra has spent thousands of hours doing family history research and writing family histories. Her love, devotion, and Christ-like service to her family and community will be truly missed. Visitation is Friday, July 14, 2017, from 9:00 – 10:30 AM, prior to the funeral services at 11:00 AM at the Fairfield Ward, 933 East Brown Road, Mesa, AZ 85213. Interment will follow at Mountain View Memorial Gardens. Love and prayers to the family. Sister Vance was such a special spirit to all those life that she touched. We will never forget her.